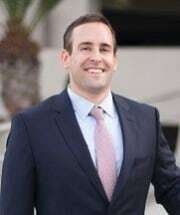 David Rubin is a trial attorney who joined The Ellis Firm to help protect the rights and interests of clients injured through no fault of their own. David comes to The Ellis Firm from Massachusetts where he spent 9 years as a prosecutor, both for the Middlesex District Attorney's Office and, most recently, for the Office of the Attorney General. As a prosecutor David investigated and prosecuted all manner of criminal cases including organized crime, drunk driving, domestic violence, drug trafficking, home invasion, bank robbery, motor vehicle homicide, armed robbery and firearms cases from indictment, through evidentiary motions and to resolution. David has appeared before the Massachusetts Appeals Court, the Superior Courts of Middlesex, Essex, Suffolk, Norfolk and Hampton Counties, various District Courts throughout Massachusetts and, while designated a Special AUSA, Federal District Court. In his time as a prosecutor David took over 60 cases to trial, conducted probable cause hearings, presented evidence at motions to suppress and conducted numerous Grand Jury investigations. While at the Attorney General's Office David was instrumental in the use of sophisticated surveillance and investigative techniques to dismantle and prosecute the members of organized criminal enterprises. David graduated, with honors, from the State University of New York at Binghamton and earned his Juris Doctorate, with high honors, from Suffolk University School Law School in Boston. Within months of Graduating David was appearing in Malden District Court on his first case, and has been in the courtroom ever since. David enjoys the competition and fast pace of trial practice and is excited to put his trial experience to work on behalf of his clients at The Ellis Firm.